Fast Company just published its list of the 100 Most Creative People in Business, giving honor to just one CEO based in Philadelphia: Thomas Jefferson University and Jefferson Health's Dr. Stephen Klasko. Klasko secured a high spot on the list, at No. 21, for what Fast Company describes as "making large-scale healthcare personal." "With AI [artificial intelligence] on the horizon, training humans to be better robots doesn't make sense," Klasko told Fast Company. "The doctor of the future needs to be self-aware and empathetic." Since Klasko, an OB/GYN with a Wharton MBA, took the reins at Jefferson Health in 2014, its network has expanded from three to 13 hospitals and revenues are up from $1.8 billion to $5.1 billion. Fast Company praises several initiatives led by Klasko, including use of a telehealth platform that means 24-hour patient assistance. In case of inclement weather, for example, scheduled appointments can be done via video chat. Eighty percent of Jefferson's doctors are trained to use the telehealth platform. Video chat has also been implemented for "virtual rounds," enabling family members to sit in on an appointment via video conferencing. Under Klasko's leadership, Jefferson has also cut down unnecessary ER visits by 60 percent through "hot-spotting." The initiative pairs medical students with patients who tend to overuse the ER, coaching them on better self-care. 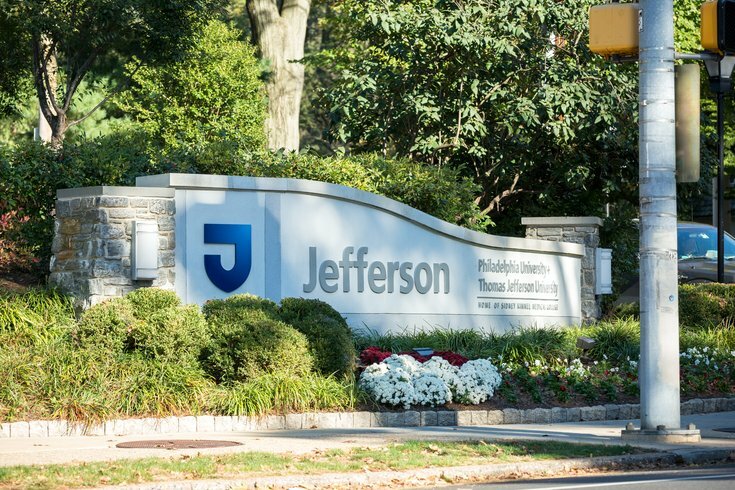 Perhaps one of the biggest changes to Jefferson since Klasko took the lead has been its immersion with Philadelphia University last year, combining the two schools under the name Thomas Jefferson University. The combined school is the first in the country to offer a design certificate with its MD program. Earlier this year Klasko spoke more about the importance of merging the medical field with design, telling the Philadelphia Business Journal he wants to "start a revolution in how students are taught... so they can deliver even more value to society." Taking the top five spots of the Fast Company list are five students from Marjory Stoneman Douglas High School, including Emma Gonzalez and David Hogg, honored for what Fast Company describes as "leading Americans beyond thoughts and prayers." Tesla's Franz von Holzhausen, the NBA's Pam El and actress Reese Witherspoon also ranked high on the list. Check out the full rankings here.